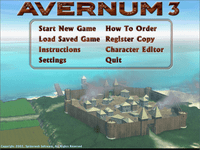 Avernum 3 is a massive and open-ended game. You can save the world or work as a merchant. You can buy a house or go on one of many side adventures. You can hurry to save the cities, or sit back and watch them crumble. Whatever you choose, Avernum 3 promises a massive and engaging adventure which will gladly absorb all the hours you can spare.